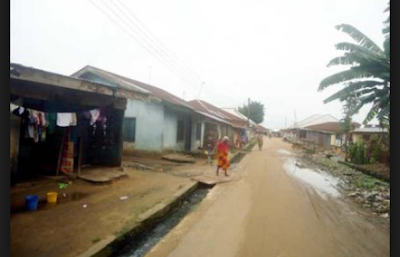 Three persons including a former councillor have been reportedly killed by a thunderstorm at Otu-Jeremi Town in Ughelli South Local Government Area of Delta State. It was learnt that the incident took place at about 4pm on Tuesday during a downpour. Sources told The Punch that another person was injured by the thunderstorm at a different location in the area. It was learnt that they were waiting for the rain to subside when the thunderstorm struck, killing three of the four persons in the building. Community sources identified the deceased as Mr Matthew Utuama, said to be a former councillor in the community, Gabriel Djoma and a motor mechanic, whose name could not be ascertained as of the time of filing this report. The trio died instantly. According to sources, the unidentified motor mechanic travelled to the area from Onitsha to repair a tipper engine reportedly owned by one of the deceased. It was learnt that Utuama and Djoma’s corpses had been deposited at a morgue in the area while the corpse of the motor mechanic was taken to Onitsha on Wednesday for burial. Spokesman for the police in the state, Chuks Oresewezie, said he had yet to be briefed on the incident.